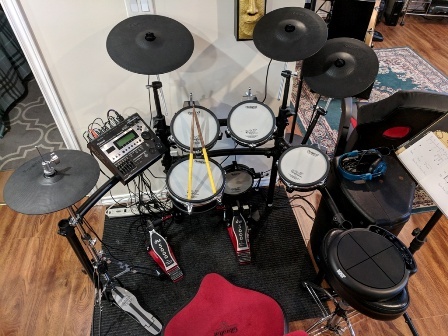 Virtual Percussion when used by electronic, midi or synthesized drums/percussion in a virtual media such as streaming video, streaming audio or other bandwidth capable media. 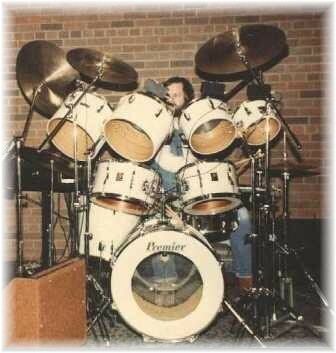 When I first used the electronic synthesizers with my Premier Acoustic Kit in the 1970's (see 4 clip-on synth's upper toms in the picture above) I was able to add sounds to the Acoustic Kit that were an enhancement to the acoustic capabilities. 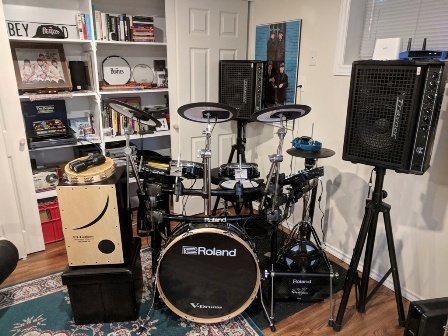 The rims of the toms could be used to produce a second set of percussion instruments linked to the PA system sending the sound via a different path and area of the room. Sounds coming from somewhere that the audience were hearing and trying to figure out how it was being done. 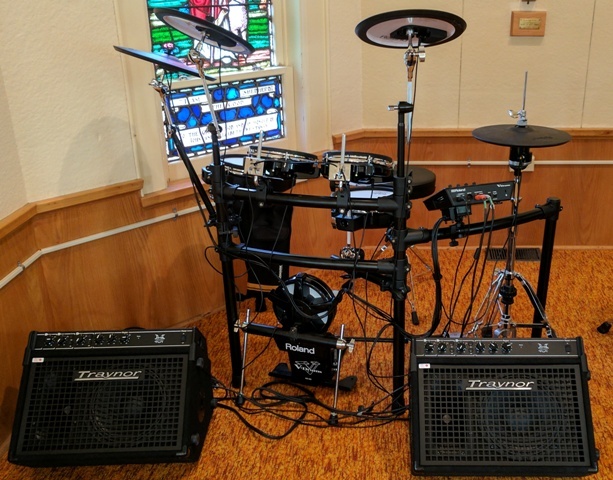 Acoustic Drummers do not have to throw away their kits. 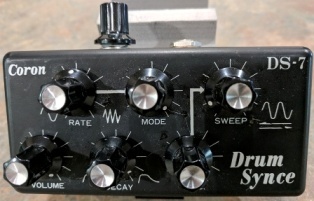 Check out my V-Drum page for Tips & Tricks. 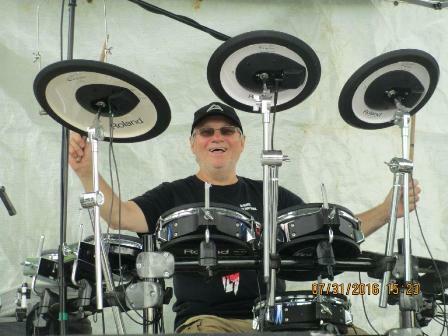 To hear my home studio recordings of MP3's using the TD-12 click on this link. 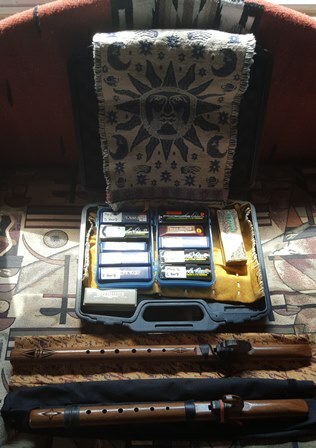 I have been playing drums and harmonica for many years. To see a bio click here. 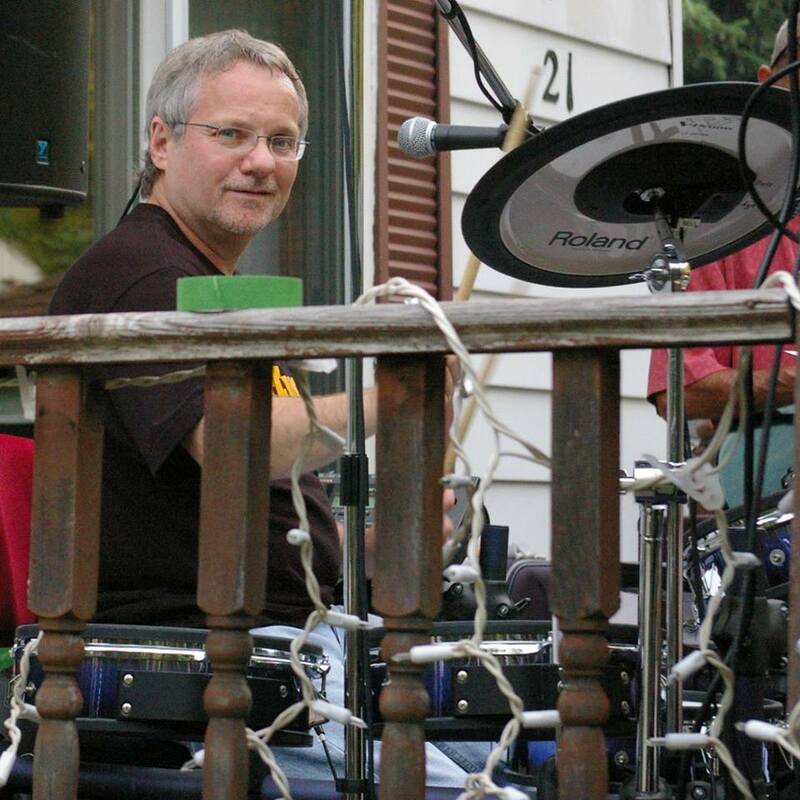 I play in a number of bands and jam with many musicians. 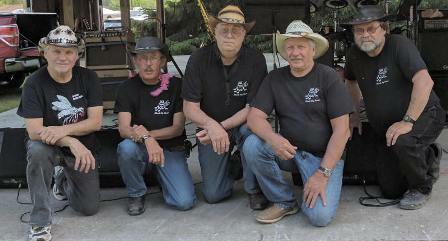 To see some jam videos and check out my personal WutEver Band updates click here. We can accept and become a part of this new technology, discover it's capabilities and creatively bring these new sounds and developments into today's music to start a whole new dimension of music. 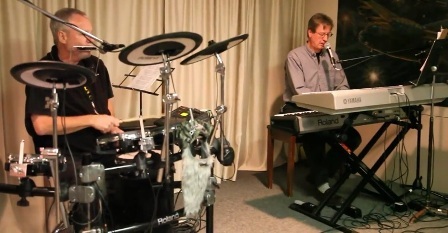 Or, continue to use acoustic percussion. 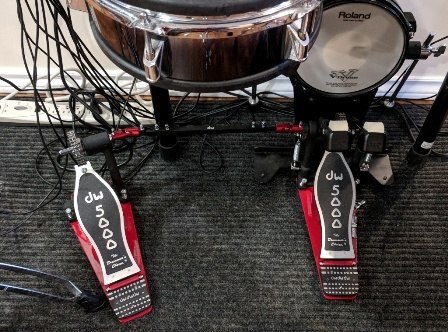 Take a look at music concerts today and you will see more and more electronic percussion in combination with acoustic percussion in every genre of music.